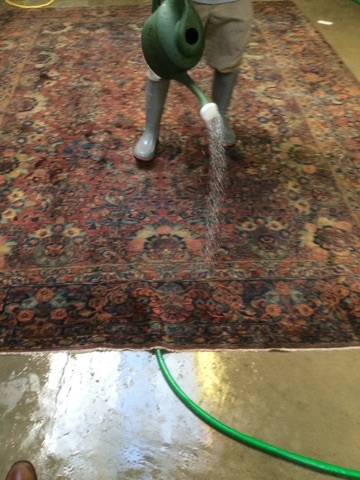 Now that the soiled areas have been loosened up we then start to flush water through the back and out through the front. 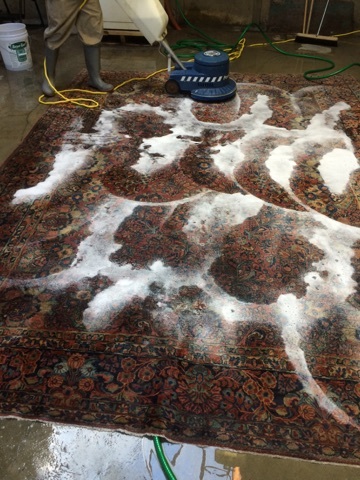 This starts to remove all of the soiling out of the pile and foundation. 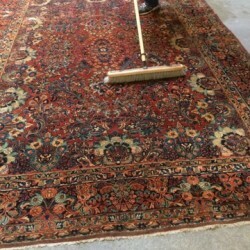 We now will flip the rug over and start to clean the back. 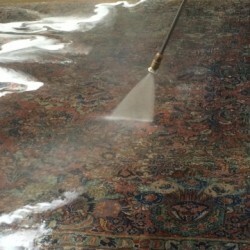 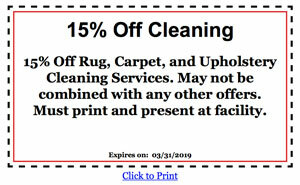 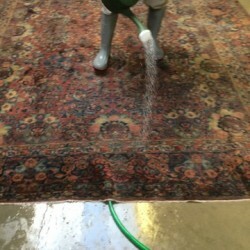 We start off by brushing the back and then pressure washing the back of the rug. 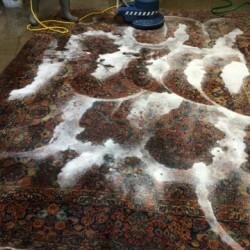 This will push all of the soiling through the foundation into the pile. 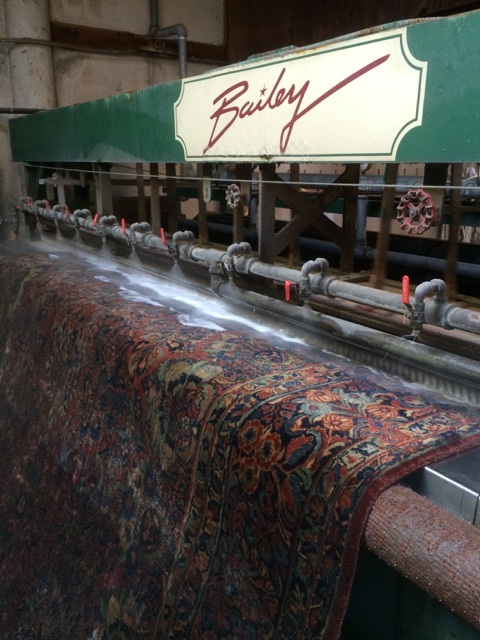 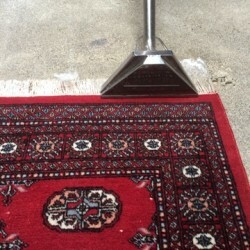 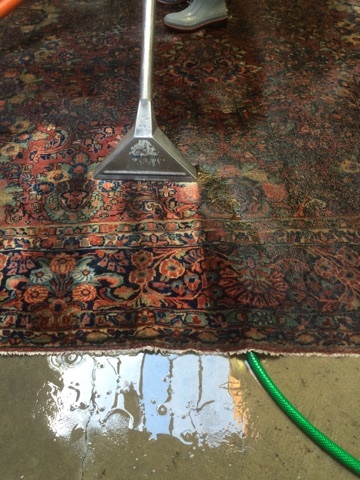 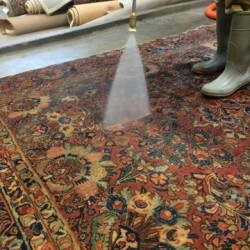 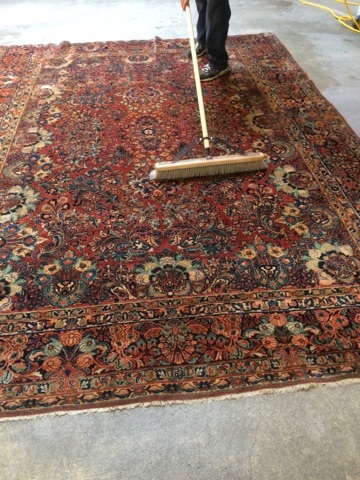 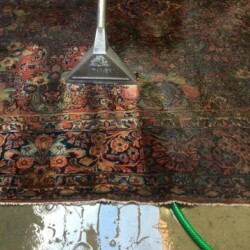 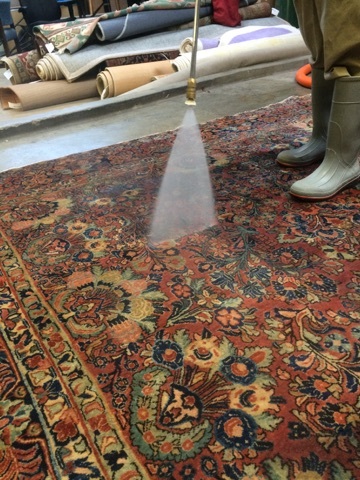 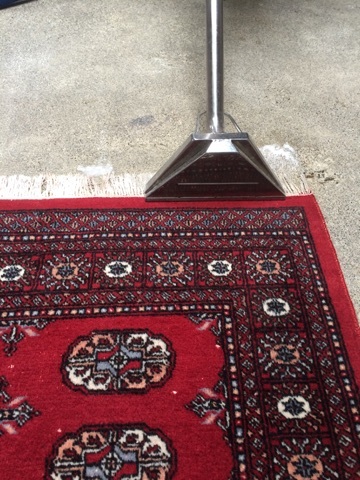 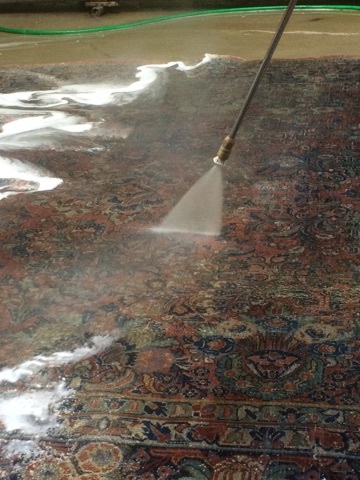 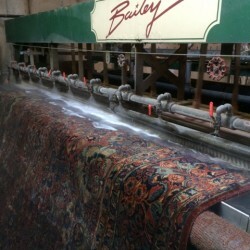 After the back of the rug is thoroughly cleaned we flip the rug over and vacuum all of the loosened up soiling out of the pile; this ensures that the rug is thoroughly cleaned all of the way.